The Noël Super Kickoff Event: Buy One Get TWO Free! 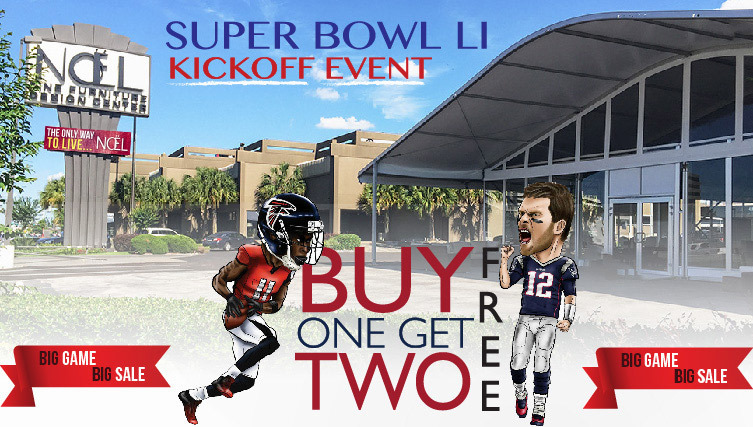 It’s Super Bowl LI & It’s Buy One Get Two FREE inside the Noël Super Tent! Buy any item inside the Noël Tent and the next two items at equal or lesser value are Free. Enjoy super savings storewide as well with Buy One Get One Free on items inside our landmark showroom. See store for complete details. The Noël Super Kickoff Going On NOW!